Moving is tough. After all, the average American home has about 300,000 items that need to be packed, hauled out, loaded onto a truck, and unpacked in the new home. With so much packing comes lots of boxes and other packing materials. Unfortunately, without the proper precautions, the packing and moving process can become rather wasteful. Packing peanuts end up in the trash, and many movers end up throwing away lots of old toys, clothes, and books. Your move doesn’t have to harm the environment and contribute to overflowing landfills. With a few easy steps, you can limit your move’s negative impact on the ecosystem and the planet. Try these three tips to reduce, reuse, and recycle throughout your relocation! Before you buy a bunch of cardboard boxes, first look for reusable containers you already have in your home. For example, you can use suitcases and laundry baskets to pack clothes and blankets without having to get a single box. Attic or basement storage bins and shelf organizers can also make great moving containers. After packing these first, you’ll have a better idea of the number of cardboard boxes you need to buy from a store or commercial moving company, and you won’t waste resources by buying too many. If you plan to purge your possessions before the big move, come up with an eco-friendly plan to dispose of them. Instead of tossing old stuff in the trash, look for ways to donate gently-used clothes, kitchen wares, and books. Some materials can even be recycled, like electronics. You can also hold a yard sale or give belongings to friends to avoid sending items to the landfill. Finally, swap bubble wrap and packing peanuts for more eco-friendly options whenever possible. Newspaper makes a cheap, easily-recycled filler material. You can also fill boxes with towels to keep breakables safe. If you still prefer more traditional packing materials, keep an eye out for specially-marked biodegradable options. The average American moves about 12 separate times throughout their life, which can add up to a significant amount of waste if not handled carefully. Luckily, a few simple steps can help make your move both more smooth and more eco-friendly. Leave smaller carbon footprints wherever you go with these three tips. 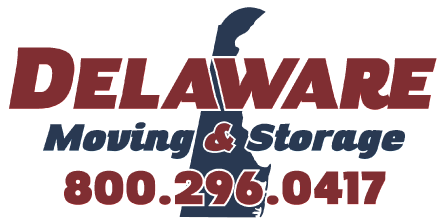 For more information or to find a commercial moving company in your area, contact Delaware Moving and Storage today!